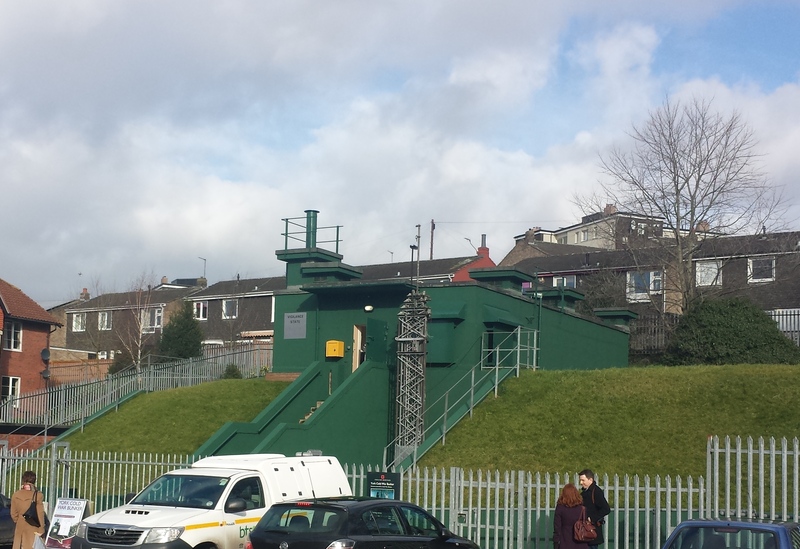 At the bottom of an unassuming residential street, not far from the centre of York, is this Cold War bunker. Built in 1961, it was designed to detect and locate nuclear bombs exploded within the region and track their nuclear fallout. It was mainly staffed by civilian volunteers of the Royal Observer Corps who would spend days underground as part of the operation. The bunker had space to accommodate up to 60 members of staff, with their duties organised by shift work. The bunker itself is organised over three levels, with an entrance above ground leading to a decontamination room, living quarters for staff are found on the middle level, and the control room is located on the lowest level. 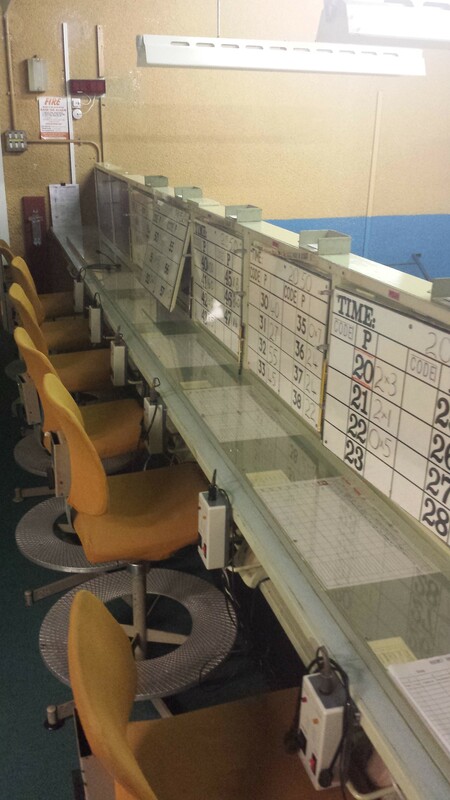 The control room is a great example of 1960s ‘colour psychology’. The use of blue and yellow on the walls was thought to calm personnel and aid visibility and concentration. One of its roles was to act as a central point of contact for a number of smaller observation posts, about 20 of them, located across the region. 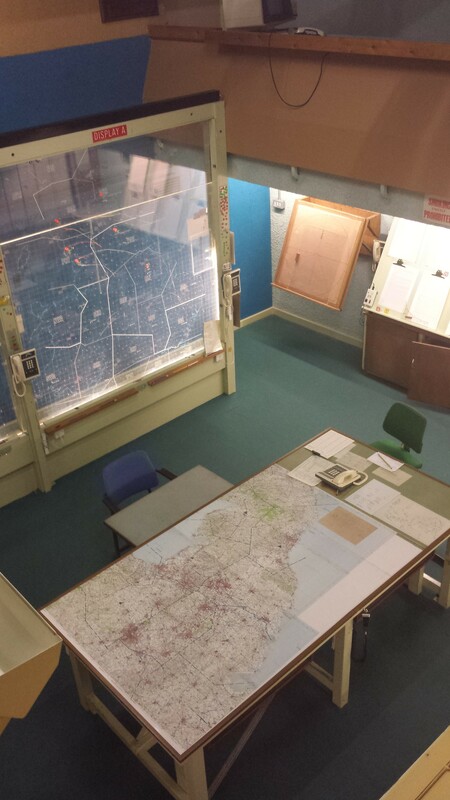 In the event of a nuclear bomb, the control room was equipped to collate reports from these posts to help locate bombs, using this information alongside various technological artefacts and instruments, including AWDREY (Atomic Weapons Detection Recognition and Estimation of Yield), pressure gauges, white boards and large floor to ceiling illuminated maps. The bunker was stood down in 1991 and is now managed by English Heritage. 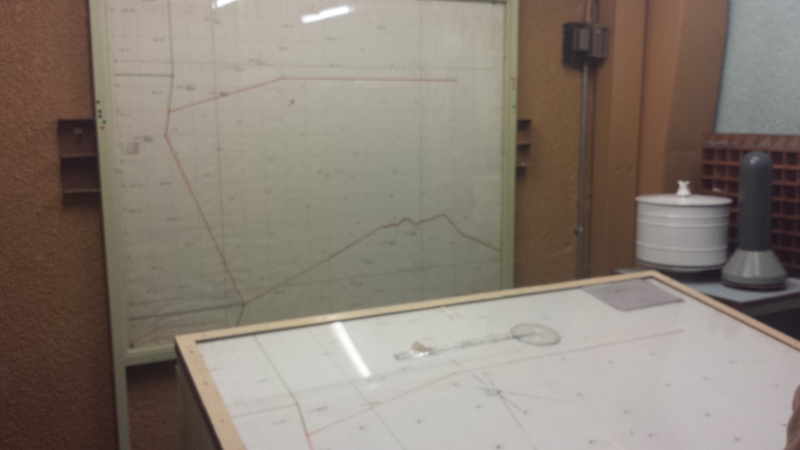 A lot of the original equipment has been preserved, showing an excellent example of a regional nerve centre for the monitoring of nuclear attacks and their impact. This article was found on Government Technology. It’s a short introduction to the work of Rio’s Centro de Operacoes and how it knows the city through its urban network of embedded sensors and CCTV feeds. Worth a read to get a sense of how it is supposedly equipped to monitor, detect and respond to noteworthy events. There is also this great photograph: inside the operations centre. 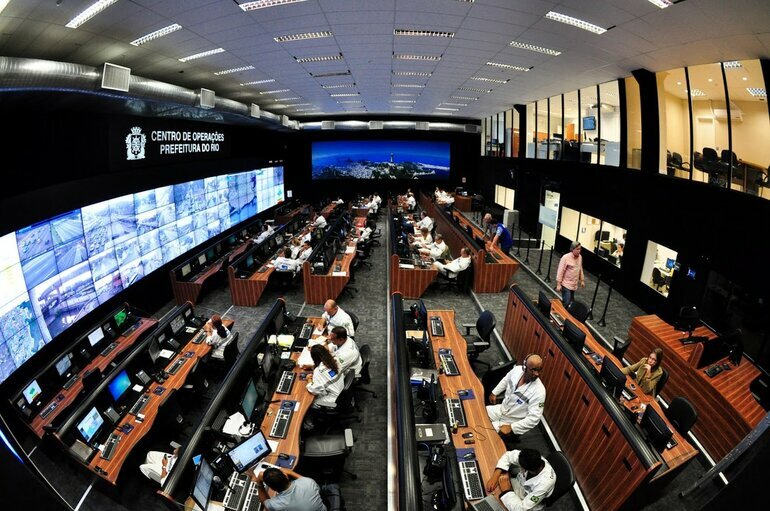 What is it like to research control rooms? A few challenges. While sorting through a few files the other day, I came across some photographs (see one below) I took during my first period of research in a control room back in 2010. I spent six months here observing the work of traffic operators who were responsible for monitoring and managing the motorway and trunk road network of the West Midlands region to facilitate safe and reliable traffic flow. Last week, the Twitter #team999 project offered an insight into the work of emergency call handlers in UK ambulance control rooms. It was part of the broader BBC NHS Winter campaign to raise awareness of the frontline work of the NHS. The tweets gave live updates on emergency calls coming into 3 geographically separate ambulance control rooms: West Midlands Ambulance Service NHS Trust @OFFICIALWMAS, North West Ambulance Service NHS Trust @NWAmbulance and East of England Ambulance Service NHS Trust @EastEnglandAmb.